Reporting back on my research mission to Asheville and Habitat Brewing Tavern and Commons. 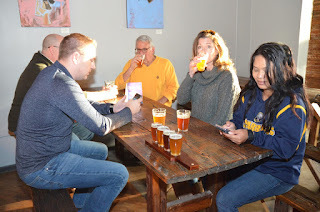 I'm pleased to relate that the group liked all the beers on tap (and we did have them all) which is the goal of all these research trips. Check the menu photo to see all that were offered. 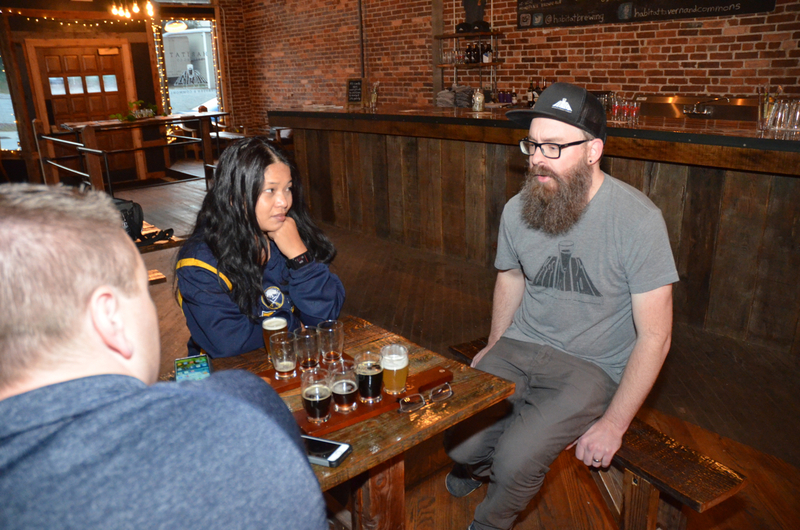 After the requisite tasting flights, I realized that brewmaster Matt Addis certainly has a way with pumpkin beers. 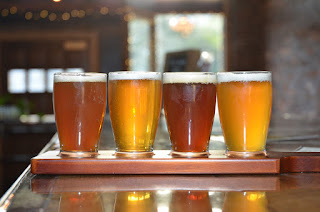 The Pumpkin Ale was so surprisingly good, it should set the standard for the style. A confident malt structure with the most balanced blend of spicing that I've tasted in years. Matt confided to the group that he uses a judicious spice blend with some extra addition of cinnamon sticks. This is a properly spiced ale, easy to drink and is not a pumpkin pie. 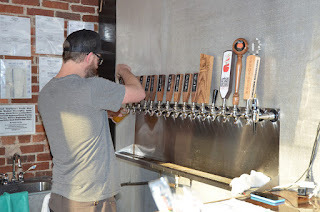 Did I mention the Pumpkin Gose? 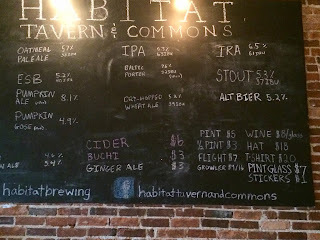 Overall I'm very glad that we finally discovered Habitat, which has been around almost two years, and promise to pay more attention to the area west of I-240 which doesn't get the attention the other parts of Asheville receive. Oh, and they don't distribute, so visiting the taproom is essential.